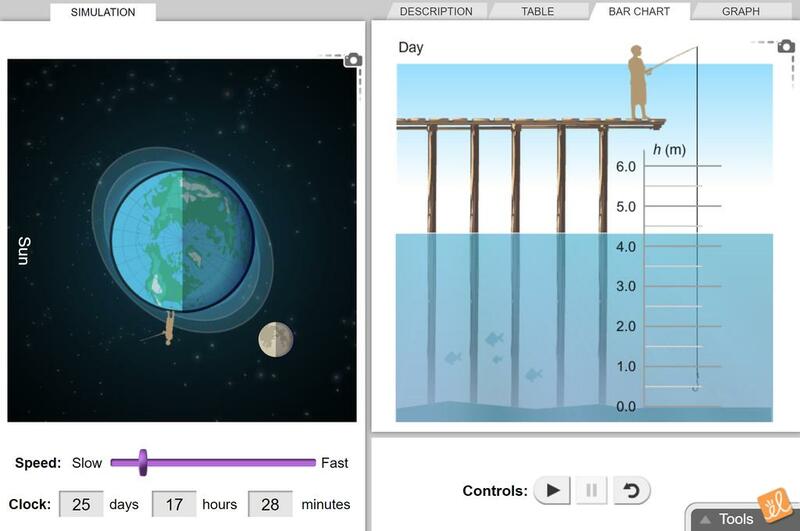 Gain an understanding of high, low, spring, and neap tides on Earth by observing the tidal heights and the position of the Earth, Moon, and Sun. Tidal bulges can be observed from space, and water depths can be recorded from a dock by the ocean. The student copy has been modified to include information on the Great Lakes. A few changes have been mad... (more)e to highlighting, diagrams have been added to assist students with drawings and understanding questions.